Hey, y’all! Happy Spiritual/Self Care Sunday! Self care is a pretty popular topic nowadays. Just about every lifestyle blog posts about it. I like to think of what’s happening these days as the Millennials’ Renaissance, or our version of Woodstock. I don’t know, I hope you get the picture. Every generation does it. This is the time that we get to inject our influence into society. And I believe that part of our influence will be our open discussion about mental health & the concept of ‘self care’. Self care is what you do to repair your frayed ends at the end of the week. Boss got ya feelin’ stressed? Practice some self care. Gettin’ anxious about your waning bank account? Let it go with a relaxing bubble bath. Been working hard on the diet and exercise? Treat yo’self with your favorite (dairy-free) ice cream or cake. You’ve earned it. Now, Sundays are perfect for self care. The week is for working, Saturdays are for running errands and activities, and Sundays are for chillin’ and gettin’ yo mind right… rinse and repeat. 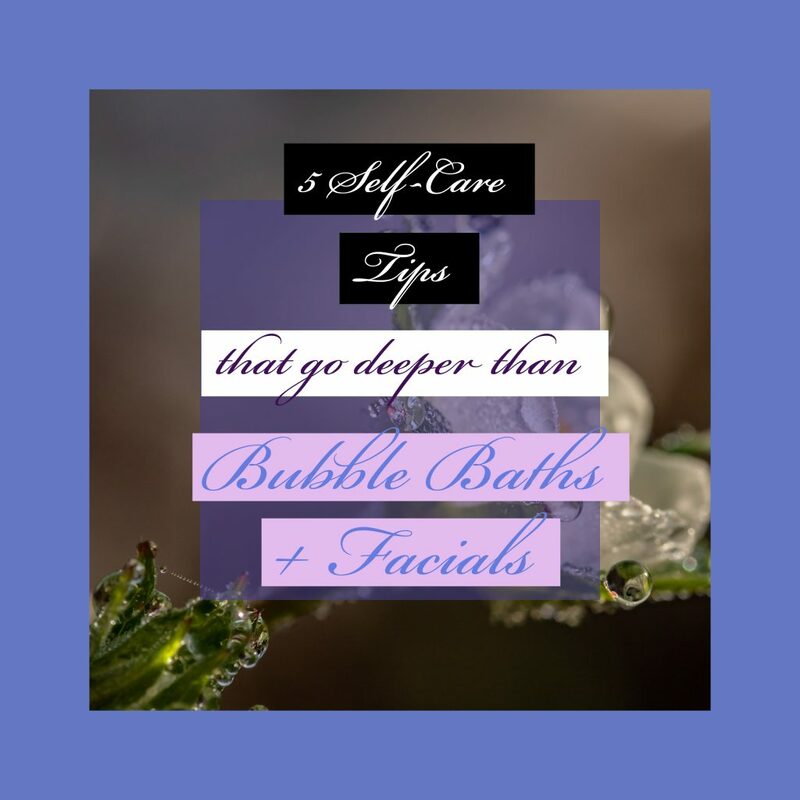 But in our quest to help ourselves relax and recover, I think that self care routines have become a little superficial. Like, sure, bubble baths and pedicures are really nice, and you should totally treat yourself. But let’s not forget about what’s at the center of all of this: your mental health and wellbeing. 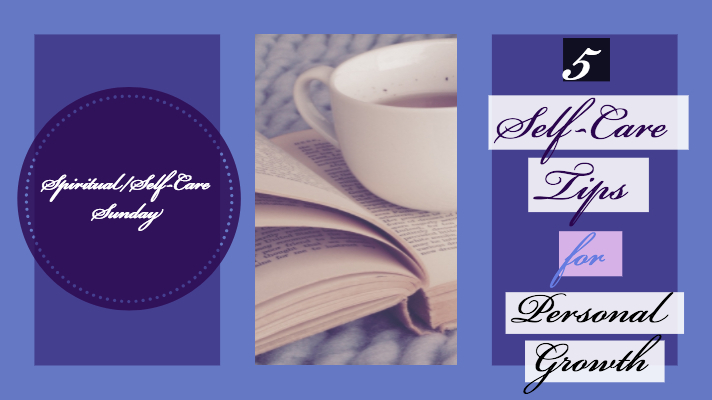 We try to say that self care isn’t a selfish act, but it is. The goal shouldn’t be to prove that self care isn’t selfish; it should be to prove that being selfish isn’t always bad. Taking care of yourself makes it easier to be kind to others. When you feel like your needs are met, you don’t mind helping others meet theirs. So should you still buy bath bombs and facial masks? Absolutely. I LOVE all that stuff and always will… there’s nothing wrong with it. But let’s take time to focus on our minds, too. Disclaimer: I’m not a yoga teacher. (Yet. I haven’t ruled it out). I’ve talked about my yoga journey before, which you can view here. I started yoga as a way to keep fit that didn’t absolutely bore me. Then it became something more. I started following a yoga instructor named Ali Kamenova and watching her classes every day. And let me tell you, this is when yoga changed not only my life, but my mind. Ali has created a style of yoga called Interval Yoga- a mix of traditional yoga movements and HIIT/Interval exercise. It’s meant to be a mix of physical and spiritual training, and it’s SO good. I found that the best way to enrich myself was through mindful physical activity. And I feel like intense yoga followed by meditation is the best way to do that. To date, the best yoga mat I have ever used was a Gaiam yoga mat. Now, Ali recommends a cork yoga mat- it’s supposed to help keep you from slipping and even minimize bacterial growth. I can’t remember which brand she recommends, so here’s a cork mat by the same brand I like, Gaiam. Enrich your mind. I can’t stress that enough. I watched a Ted Talk by Celeste Headlee recently, and she said that each person you meet knows something that you don’t. The same is true for books, articles, and other reading materials… there is always something new to learn, a new perspective to consider. Each of these books added to my life in some way, as a person and an entrepreneur. I’m not perfect; far from it. But I wouldn’t be where I am today if it weren’t for these books. Ok… this one is a little bit harder than stepping onto a yoga mat or reading a book. In fact, you’ll probably have to work on it for the rest of your life. But it goes hand-in-hand with meditation. I started a new pack on my HeadSpace app the other day- the one for anxiety. It went over all of the basics, but with one thought in mind: to create a new relationship with anxiety. Imagine the moments that have scared you the most in your life, the moments when something went very wrong. Remember the sweaty palms and the tightness in your chest? The quickened breath and perspiration on your forehead? Now imagine that happens with damn near everything you do. Yeah. Heavy. Those feelings are crippling. The unfortunate thing is that you can’t eliminate anxiety or fear from your life. It’s a normal human response and you’re not supposed to get rid of it. But you can change the way you choose to react. You can create a new dynamic. And I’d say the best way to do this through meditation. So instead of trying to distract yourself from the way you feel (positive or negative), allow yourself to sit with it and recognize that you don’t have to get rid of it. You’re not a bad person for feeling things… everyone does that. It’s about what you do with those feelings. Personally, I practice a vegan diet because it makes it easier for me to keep track of what I’m eating. Not saying YOU have to do that, but it does help. I also believe in Karma and the transference of energy. The reality is that right now, the meat and dairy industry causes a lot of unnecessary suffering for animals. If you buy your meat and eggs from a grocery store, chances are that an animal suffered for it. And paying money for those items is what allows that suffering to keep going. You can claim ignorance, you can claim that you aren’t the one actually causing the harm, but this is just the truth of supply and demand. I’ll leave you with that; what you do next is your choice. But know that it is a choice. Although I can’t prove that Karma exists, I do think that what you put out and take in from the world comes back to you, good or bad. Eating something sentient, like you, that suffered in its last moments can’t be good for your Karma, can it? Again, personal belief; you have to decide how you take it. So what do I suggest? Well, I could always say, “Go vegan! Pay attention to what’s in your food… don’t eat anything that comes from an animal!”. But I know that’s not how people work… it’s an unrealistic expectation. What I’d suggest is that you practice a day or 2 a week where you don’t eat meat, milk, and/or eggs. Try to fill in your day with nuts, seeds, fruits, veggies… Lord knows we don’t eat enough of those last two anyway. Even better, try something that’s labeled as vegan! Eat a mock burger or some vegan cheese… just try it! What have you got to lose? Becoming more aware (and careful) of what you put in your body might be just what you need to start feeling like your healthiest self. The last thing I’d like to leave you with is this: yes, you have faults, but that doesn’t make you a bad person. When you’re meditating and trying to create a new relationship with your feelings, try creating a new relationship with yourself, too. How do you talk to yourself right now? Do you talk to yourself the way you would if you weren’t you? How would you talk to someone else who was clearly going through a hard time? There are ways to “fix” yourself without breaking yourself down to nothing. So in the process of recognizing things you don’t love about yourself, try to be about the solution. How can you change them for the better? Everyone’s got a different definition of self care. This particular blog post was inspired by Scott of Depression to Expression. If you’re interested in watching his video, check it out here. I’ll warn you… it’s not a warm and fuzzy video about taking care of yourself. But the perspective is interesting and had a lot to do with how I crafted this post. So what do you do for self care? And how can you implement these self care tips (and others) into your life?